There’s no rest for the Apple watchers. Following last week’s Apple services event and the bombshell that AirPower was being discontinued, this week was another busy one for Apple-related news. This time, much of the news surrounded the future of the iPhone. A number of separate reports indicated what we can expect—and not expect, as the case may be—for both the 2019 and 2020 iPhone lineups. Meanwhile, additional reports detailed how Apple has been cutting prices on its products worldwide, including in the U.S., and suggested that M&A could be getting a greater focus within the Cupertino, Calif.-based tech giant. What follows are details on what we learned this week about Apple’s future plans and products. Apple’s next iPhones could be getting a boost to battery life and wireless charging capabilities this fall. According to reports on a new research note from well-known Apple analyst Ming-Chi Kuo of TF International Securities, the 2019 iPhone lineup will feature larger batteries and an option for two-way wireless charging. Two-way wireless charging would allow the new iPhones to serve as wireless charging pads, capable of charging a second iPhone—or another wirelessly chargeable device, such as the new AirPods—by placing them on the back of the phone. The two-way wireless charging feature is available in devices such as Samsung’s recently released Galaxy S10 lineup. The form factor for the upcoming iPhones is not expected to change, according to Kuo, with successors coming in the same sizes as the 5.8-inch iPhone XS, 6.5-inch XS Max and 6.1-inch XR. A battery size increase is a leading upgrade that Kuo is predicting for the new iPhones. The successor model to the iPhone XS could get a battery that’s as much as 25 percent larger, while the XS Max successor may get up to a 15 percent larger battery, according to reports on Kuo’s research note. 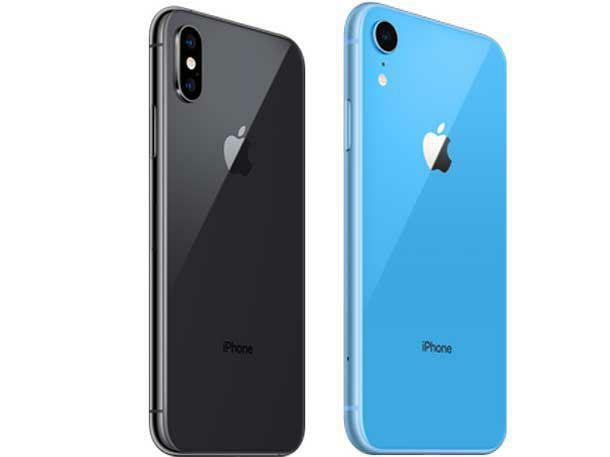 The successor to the iPhone XR is not expected to see a significant increase in battery size, with an increase of between 0 percent and 5 percent predicted by Kuo. The launch of a 5G-supporting iPhone in 2020 is under threat because Intel is behind schedule, having missed deadlines for development on its 5G modem, Fast Company reported this week. Intel, which is reportedly the only 5G modem supplier for the 2020 iPhones, has upcoming deadlines this summer for delivering sample parts of the XMM 8160 5G modem. Ongoing court battles between Apple and Qualcomm, meanwhile, suggest that Apple will not be looking to Qualcomm as an alternative 5G modem supplier. In other 2020 iPhone news, a DigiTimes report suggested that Apple may be planning to go all in on OLED displays for its 2020 iPhone lineup. OLED, which offers more vibrant colors and picture, is currently featured in two of Apple’s three latest iPhones, the iPhone XS and XS Max. The iPhone XR sticks with LCD. That breakdown between OLED and LCD is expected to continue for 2019, but 2020 will see Apple switch to three OLED iPhones, DigiTimes reported. The sizes of the three iPhones will also change, to 5.42 inches for the smallest model (from 5.8 inches); 6.06 inches for the midsize model (from 6.1 inches); and 6.67 inches for the largest-screened iPhone (from 6.5 inches), according to the report. It was a significant week in terms of worldwide price cuts at Apple. In the U.S., the price of the HomePod smart speaker was dropped to $299, from $349 previously, in Apple’s online store. The cut comes as HomePod has made little headway against smart speakers such as the Amazon Echo and Google Home, according to research firm Consumer Intelligence Research Partners. Meanwhile, reports indicated that Apple has cut priceson a number of products in China, including all three of the latest iPhones—the iPhone XS, XS Max and XR. Reduced iPhone demand in China was a major factor in Apple’s revenue drop during the final three months of 2018. Apple has also reportedly cut prices to some Mac and iPad products in China, as well as the second-generation AirPods. And Apple this week reportedly reduced its iPhone XR pricing in India, as well. Apple has rarely been known for large M&A—the $3 billion acquisition of Beats was a notable exception—instead preferring to acquire smaller, often little-known companies to add talent and IP. But in one signal that Apple may be paying more attention to M&A as its iPhone business slips, Apple disclosed that its vice president of corporate development, Adrian Perica, now reports to CEO Tim Cook. The disclosure came with the addition of Perica to Apple’s executive leadership page on its website, as spotted by Bloomberg—also a sign that M&A may be taking increased importance at Apple. Perica is responsible for “mergers, acquisitions and strategic investing efforts” at Apple, and he was “instrumental” in deals including Beats, his bio on the website says. Apple acquired 18 companies in 2018, none of them surpassing $1 billion in price, Bloomberg reported. When does a roti become a biryani?